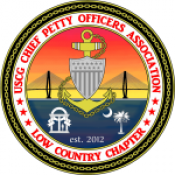 The LCO Captain's Party has become a legendary fundraising event among the tournament scene in South Carolina, and also serves as the Kickoff Party for the Palmetto Kingfish Tour. 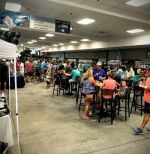 Anglers and families around the Lowcountry gather for boat registration and general tournament excitement. Come enjoy complimentary local cuisine and beverages for all ages, live music, unmatched raffles and tourney-swag, all from inside the home football stadium of The Citadel Bulldogs. If you've pre-registered online, avoid the lines and pick up your captain's bucket full of promotional goodies. We'll keep the captain's meeting brief, and answer all the questions you might have.